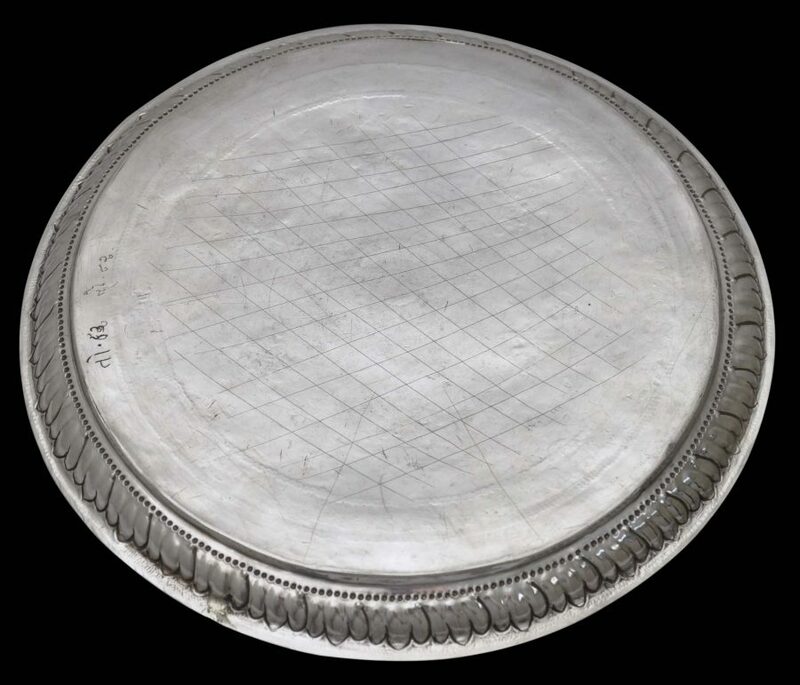 This large ritual ses tray is of almost pure silver and is likely to be more pure than sterling silver. Such purity was preferred for silver items to be used in religious Parsi ritual. The tray was used for all types of ritual in which offerings, condiments and ritual containers needed to be carried and presented. 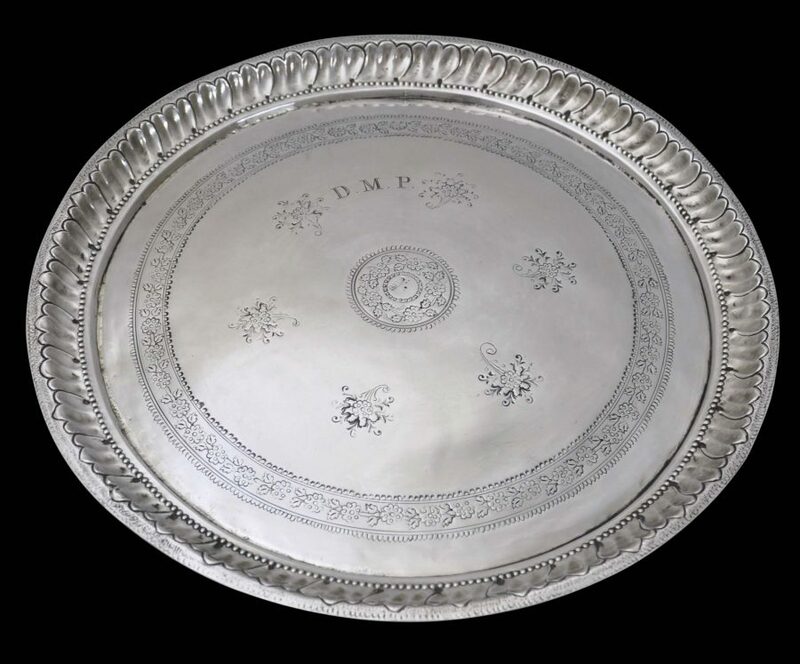 It has a high rim engraved with petal-like motifs. 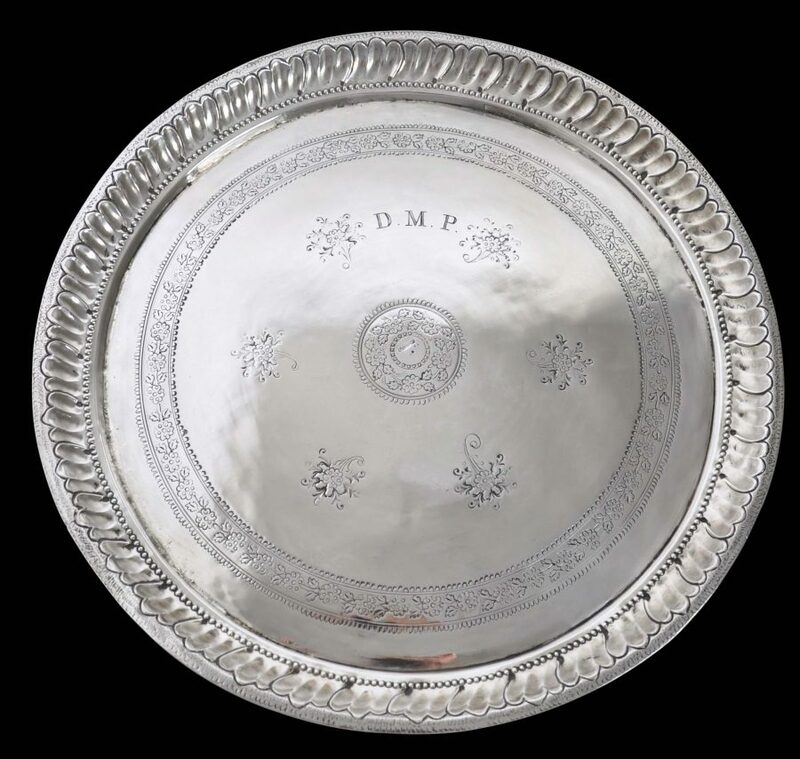 There is a band of flowers and a central roundel similarly engraved. Six sprays of flowers and leaves also are spaced about the tray. 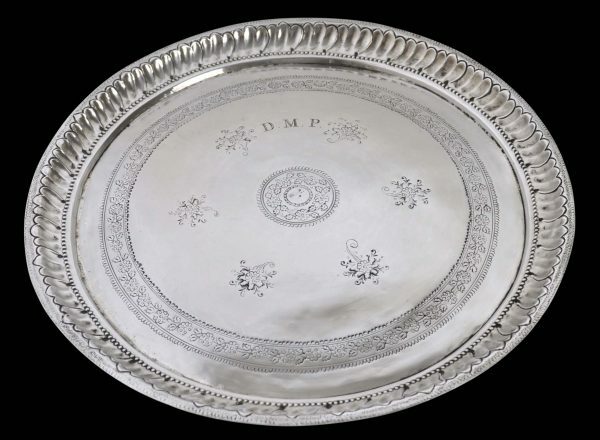 The front of the tray is engraved with the initials ‘D.M.P.’ It is believe that the ‘P’ refers to the surname of the family that owned the tray – ‘Paynter’. The central roundel also is marked with what is likely to be an a maker’s mark in Gujarati, and the reverse also is marked with two brief sections of Gujarati, most probably these are ownership marks – such marks were used in India by all sorts of groups if they lived in extended family compounds to indicate who owned what. This was important to avoid inheritance disputes. The reverse of the tray has been hand-scored with a rough cross-hatching pattern. The tray is in excellent condition.